Rousay is one of the three islands that lie a short distance off the northeast coast of Mainland and, together with Shapinsay to the southeast, are the closest of Orkney's North Isles to Kirkwall. Rousay is a hilly island about five miles in diameter and known as the 'Egypt of the North' due to the large number of archaeological sites. It also has the important Trumland RSPB Reserve, home to merlins, hen harriers, peregrine falcons, short-eared owls and red-throated divers. You can take one of the very informative minibus tours run by Rousay Traveller, Tel. 821234. These run from Jun-early Sep Tue-Fri, meeting the 1040 ferry from Tingwall and lasting 6 hrs. Tours: adult £15, students/OAPs £12, children £6. Bike hire is available from Arts, Crafts & Bike Hire at the pier, Tel. 821398. A small car ferry sails from Tingwall (20 mins) to Rousay 6 times a day (Mon-Sat; 5 times on Sun). Most of the ferries call in at Egilsay and Wyre, but some are on demand only and should be booked in advance, Tel. 751360. A bus connects Tingwall and Kirkwall. A road runs right around the island, and makes a pleasant 13-mile bike run, but most of the sights are within walking distance of the ferry pier on the southeast side of the island, where most of the 200 inhabitants live. A short distance west of the pier by the road is Tavershoe Tuick, an unusual two-storey burial cairn, which was discovered in the late 19th century by Mrs Burroughs, wife of General Traill Burroughs who lived at nearby Trumland House. A mile further west, to the north of the road, is Blackhammer, a stalled Neolithic burial cairn. Further west, and a steep climb up from the road, is Knowe of Yarso, another stalled cairn, which contained the remains of at least 21 people. The tomb dates from around 2900 BC. Most of the island's archaeological sights are to be found along the Westness Walk, a mile-long walk which starts from Westness Farm, about four miles west of the ferry pier, and ends at the remarkable Midhowe Cairn. The walk is described in detail in a leaflet available from the tourist offices on Mainland. Midhowe Cairn is the largest and longest thus far excavated on Orkney - over 100 ft long and 40 ft wide - and, like the others, dates from around 3000 BC. Housed in a large building to protect it, the 'Great Ship of Death', as it is known, contained the remains of 25 people in crouched position on or under the eastern shelves of the chamber, which is divided into 12 sections. Standing nearby, with fine views across to Eynehallow island, is Midhowe Broch, one of the best-preserved brochs on Orkney, occupied from around 200 BC to 200AD. The outer walls are about 60 ft in diameter and up to 14 ft high in places. Another fine walk on the island is around the RSPB Reserve. A footpath leads from beside Trumland House and heads up towards the island's highest point, Blotchnie Fiold (821 ft). A leaflet describing the walk is available from the tourist offices on Mainland or the Trumland Orientation Centre by the pier. There's now a good choice of accommodation on Rousay, from good B&Bs to self-catering properties to the excellent Taversoe Hotel at very good rates. See Visit Rousay for further details of accommodation. Near Knowe of Yarso, about 2 miles west of the pier, is the Taversoe Hotel(http://www.taversoehotel.co.uk), Tel. 821325, which offers excellent-value meals(closed Mon to non-residents). Another option is the Rousay Hostel at Trumland Organic Farm, Tel. 821252, open all year and half a mile from the ferry. It has laundry facilities and you can also camp. The Pier Restaurant, beside the pier, serves food at lunchtime (cheap to mid-range). 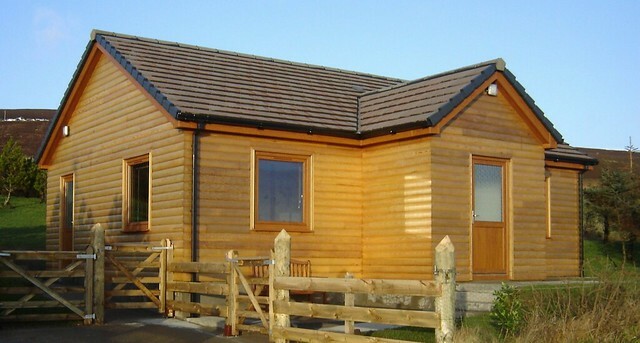 Single storey cedar clad 2 bedroom cottage on Rousay in Orkney. Just 5 minutes from the pier but set in own grounds & enjoying panoramic views. Completed in November 2011.